A local talkshow produced by Watertown Cable Access won an award at the recent Alliance for Community Media Northeast Region Conference. 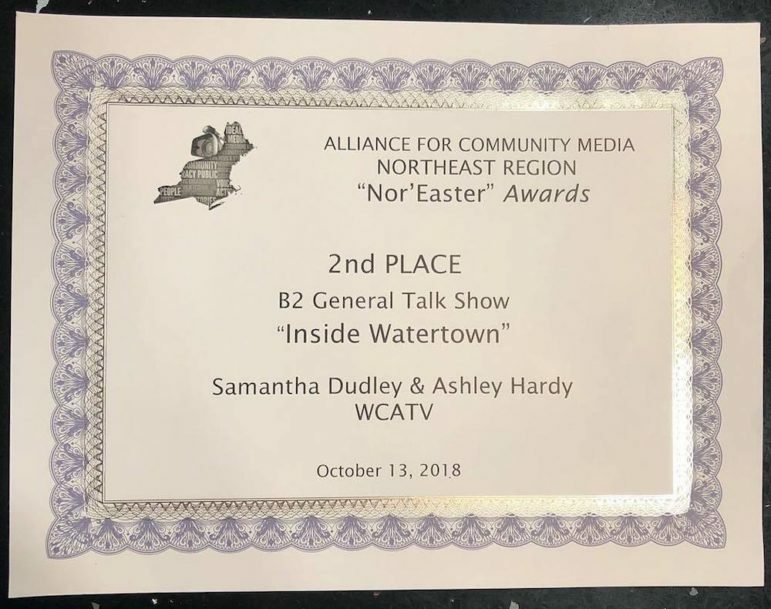 The producers of “Inside Watertown,” Samantha Dudley and Ashley Hardy received the second place award in the Budget II General Talkshow category at the in ACM Northeast Region Conference in Schenectady, New York, in October. Watertown Cable announced the award on Wednesday. The show highlights groups and people who make a difference in Watertown. The show is co-hosted by Charlie Breitrose, editor of Watertown News, and Paul Airasian, a local business and community leader. Airasian, who hosted shows on Watertown Cable for many years, passed away at the end of September. 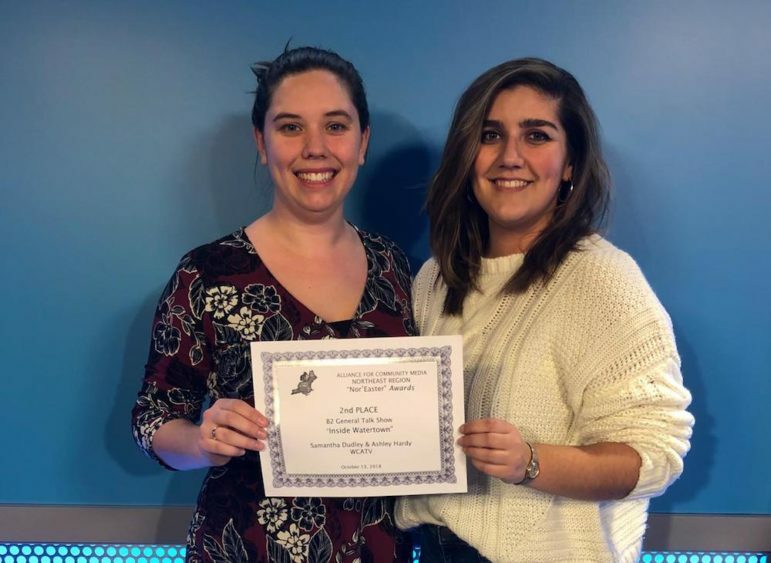 Thank you to the Alliance for Community Media – Northeast Region for presenting WCA-TV with the 2nd Place certificate for Budget II General Talkshow! Ashley and Samantha won for their show “Inside Watertown”, hosted by Charlie Breitrose and Paul Airasian. We dedicate this award to Paul Airasian, who we lost this past September. His overwhelming kindness and support for WCA-TV will never be forgotten. See episodes of Inside Watertown by clicking here.